Sterlin Gilbert Is The Perfect Fit For Texas – Or Is He? Charlie Strong is putting all of his chips in on new Offensive Coordinator Sterlin Gilbert turning his stagnant offense around. Now we will have to how serious Strong is about the transformation. 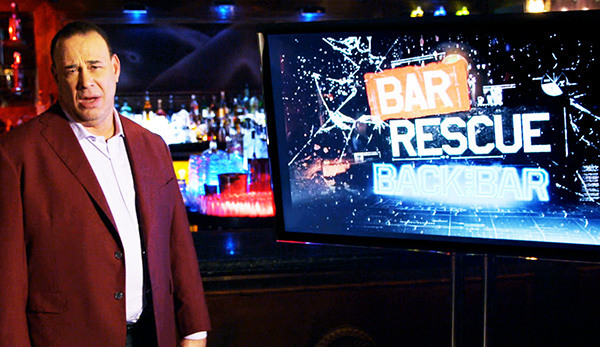 I read an article recently that compared Gilbert to Jon Taffer from the TV show “Bar Rescue.” If you haven’t seen the show, it is basically about an entrepreneur that opened up a new bar business with high hopes, started failing, and then called Taffer to help save the bar and make it profitable again. The parallels to the Texas situation are scary similar. Like “Bar Rescue,” the Longhorns have struggled to succeed under head coach Charlie Strong. Some will argue that he’s been stubborn during his first two years and not backing down from the notion that defense will win the Big XII. The hiring of Gilbert shows that he’s willing to entertain the idea of changing his philosophy. But will he do it completely? An offensive overhaul can’t happen overnight unless the conditions are perfect. The right coaches have to be in place, the practice methods have to be perfect and above all, the offensive coach has to be in control. That means Strong is going to have to take a step back on his defensive philosophy, as hard as it may be. Gilbert has the ability to turn the Longhorns around quickly on offense. I mean, we wouldn’t have seen the unprecedented event with the president, athletic director, head coach and position coach flying to Tulsa on a Friday evening during a big recruiting weekend if he wasn’t the guy they wanted. Strong needs to view Gilbert as a Jon Taffer. Put the pride and ego to the side and put your trust that he will get your problems fixed. Gilbert’s done it three other times at three different programs, so why try to fight it? Gilbert is the guy who will determine whether Strong’s tenure at Texas lasts any longer than 2016. Now what does Gilbert really have to work with? Being a student of the Art Briles system, Gilbert runs the spread offense with an emphasis on the run game. He has to be salivating over the two-headed monster in the backfield with D’onta Foreman and Chris Warren that Texas has next year. However, he has a lot of work to do with his quarterback situation. It seems like there has been a quarterback controversy every season since Colt McCoy left in 2009. There’s no reason to believe that that won’t change for 2016. Many fans will assume that Jerrod Heard or Tyrone Swoopes will win the job in the offseason, but that may not be the case. Gilbert has already hit the recruiting trail to find a junior college quarterback that fits his system. He also has redshirt freshman Matthew Merrick waiting in the wings, along with true freshman Shane Buechele, who will be enrolling early. Arm strength and accuracy is critical in Gilbert’s offense. Don’t be surprised if this ends up being a battle between Merrick and Buechele because of that. Above all else, Gilbert has to have complete control of the offense. He was somewhat stubborn in the hiring process, because he wanted to see commitment from everyone, including all the way up to the president of the university. He got that. Now he’s got to see it in the meeting rooms and on the field. Strong has preached that he is building his program the right way, and that it will turn around. The problem is that as he enters year three at Texas, he has to completely tear it down and start from scratch. The only difference this time is that he has his own players that he recruited personally, and a coaching staff that he believes will make them elite again. He just has to follow through and allow the coaches to take the reigns in some aspects. If Strong doesn’t take a couple steps back like Gary Patterson did at TCU a couple years ago, then Texas will be a five or six win team again next year. That TCU team went from 4-8 and having one of the worst offenses in the country to being a 12-1 team that narrowly missed the College Football Playoff, and had one of the top offenses in the country. If Strong doesn’t take that to heart, and if he doesn’t follow the advice of his very own version of Jon Taffer, then he and Texas will fail again.